Divorce is difficult on parents and may be even more difficult on children. Here are 8 tips to help your kids manage the divorce process. Tell your children about the divorce as soon as possible. If possible tell them together and explain the divorce to your children in terms of how the divorce affects them. First and foremost let them know they are loved and that they will continue to be the most important part of your lives. Stay positive about your ex In front of the children. Stay healthy, eat well, drink in moderation, and exercise. Talk to friends, family members, clergy, or a counselor to sort out your feelings. Your kids model your behavior. It is important for you to be open about the pain you are feeling and show your kids that you are addressing it in a healthy way. This goes without saying of course. However, when your children are dealing with a painful change they need the message of love to be reinforced. 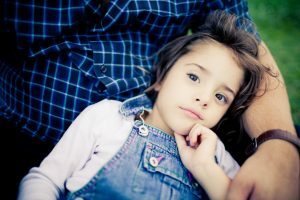 Say “I love you” more often and make sure that your children know that the divorce has no impact on your love for them. If you tend to be more of a thinking personality type (Less sharing of feelings) it is important to step up you love game as the divorce process begins. Your children’s lives will change during and after the divorce. For example, it’s very possible that they will see less of their mom (or Dad) once the parents live in separate households. Telling them otherwise will not help. Let them know that the one thing that will not change is your love for hem. Avoid overspending on your children. Parents feel incredible guilt during the divorce process. Avoid buying your way out of your guilt. Your child may feel better for a few hours after receiving a new toy. However it does nothing to help them work through their feelings about the divorce. Living in two households is more complicated than living in in one. Your children are bound to forget things as they move from home to home. Cut them some slack when they forget. When possible try to duplicate their frequently used items or favorite toys at your house. If they don’t have their own bedroom, make sure that you allocate some space in your home that belongs just to them. I hope you found this article to helpful. If you are considering divorce and have questions about you children and other family law matters please call.